This list is not all-inclusive, but does contain the most common conditions Dr. McClintock sees and effectively treats. If your particular concern isn't on this page, please contact us to see how we can help. Overuse injuries are the most common injuries related to sports. The repetitive movements associated with an active lifestyle or participating in sports causes cumulative wear and tear on the body. This can cause muscles, tendons, ligaments, and joints to be more susceptible to injury. While some symptoms are due to an immediate injury, most injuries have subtle warning signs that take weeks, months, or years to develop. In order to help prevent injuries, active individuals and athletes should be examined to determine if there are any signs or symptoms present related to the onset of pain, loss of flexibility or loss of strength. 80% of individuals will experience significant low back pain in their lives. It is also the MOST common cause of lost work days for persons under age 45. There are many causes of low back pain including, overuse injuries, a pelvis that has rotated out of its normal position, weak gluteus muscles, poor posture, sitting or standing too long, improper lifting techniques and any other of a variety of conditions that place inordinate stresses upon the spine, causing pain, muscle imbalances, or pressure on a nerve. The most common symptoms are pain and stiffness across the lower back. There may be a sharping or catching pain. You may feel pain over the buttocks, or even over the hip joints when lying on your side. If the sciatic nerve is irritated you may experience pain, tingling, numbness or weakness in your legs known as sciatica. These symptoms really depend on the type of injury you have suffered, and the structures involved (muscle, joints, or discs). If you are experiencing any of these symptoms, schedule an appointment with Dr. McClintock, he will first conduct a thorough examination to determine the exact cause of your lower back pain and the best approach to treating it. Many of his patients feel significant improvement and relief after the first visit. Many headaches people experience are called "cervicogenic" or "tension" headaches. These headaches are caused my tight neck muscles and muscles located at the base of the skull. These tight muscles can pull the neck vertebrae being out of their normal alignment and can cause very painful headaches. Poor posture, bad ergonomics at work and home, previous injuries, and numerous other causes can move the spine out of proper alignment, which causes muscle pain and tightness, and potentially can lead to increased pressure on the spinal nerves that exit through holes between each vertebra. 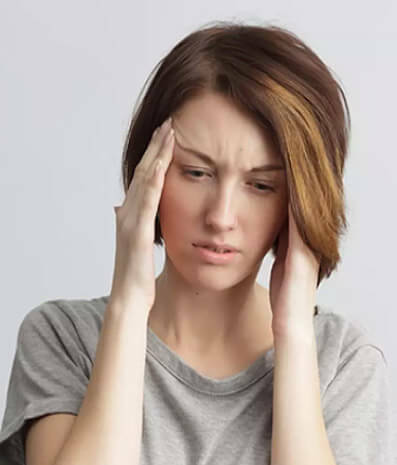 Dr. McClintock is highly effective in treating these types of headaches using a combination of Active Release Technique, Chiropractic adjustment, stretching, and patient education. Frozen Shoulder (Adhesive Capsulitis) results from the shrinking, and subsequent scarring of a previously normal joint. Frozen Shoulder can result in significant loss of movement, shoulder pain that can last from weeks to many months. Fortunately, you can take steps to control the pain and regain full range of motion. 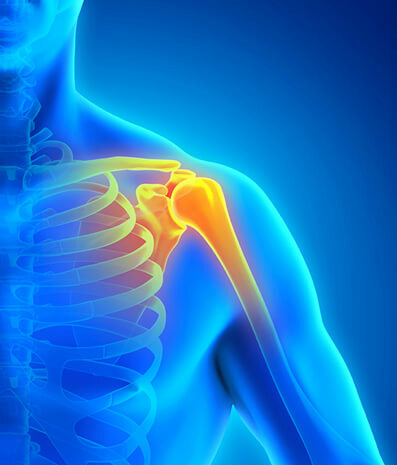 Frozen shoulder can be caused by many situations, including shoulder injury, cumulative trauma, diabetes, thyroid problems, autoimmune reaction and heart or lung conditions. How can ART resolve Frozen Shoulder? Active Release Technique® (ART®) has been shown to be very effective in the treatment of Frozen Shoulder. Rather than just addressing just one area, ART® restores unimpeded motion and function to all soft tissues in the shoulder's kinetic chain. The Active Release Techniques® (ART®) Soft-Tissue Management System is a new and highly successful approach to injuries of muscles, tendons, fascia, nerves, and the surrounding soft tissues. The ART® Soft-Tissue Management System provides a way to diagnose and treat the underlying etiology of Cumulative Trauma Disorder that causes symptoms of numbness, tingling, burning, and aching. Trained providers are able to diagnose the presence of abnormal inflammation and adhesion by examining tissue texture, tension, and movement. The goal of ART® is to restore optimal texture and motion, restore the function of the soft tissue and release any entrapped nerves or blood vessels. This is accomplished through the removal of adhesions, or fibrosis, in the soft tissues via the application of specific protocols. Adhesions can occur as a result of acute injury, repetitive motion, and constant pressure or tension. ART® eliminates the pain and dysfunction associated with these adhesions. 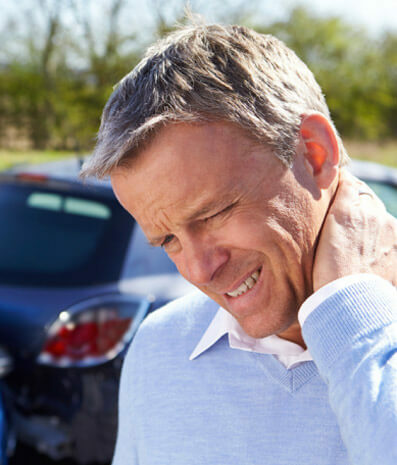 Over 40% of people with chronic neck pain can attribute it to automobile accident. In the event of a motor vehicle accident a great deal of the forces of the impact are absorbed by the vehicles, but the remaining forces are transferred into the occupants of the vehicle. 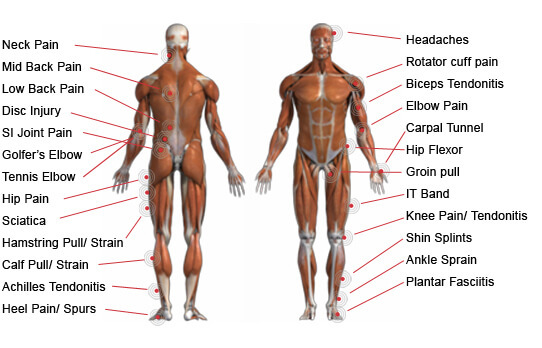 These forces cause injury to muscles, tendons, ligaments, fascia and joints of the spine and extremities. If you think of these soft tissues as fibers in a rope, these fibers are stretched and torn due to the impact. The number of fibers that are torn is related to the severity of the accident. These torn fibers cause pain, muscle spasms, and asymmetric tension in these muscles causing altered joint movement and postural changes. These altered joint movement positions and patterns can lead to early degeneration of the spinal segments, and chronic pain. This is why it is important to have a proper examination and prompt treatment following any car accident. The longer the problem exist, the worse the prognosis. One study took 146 individuals injured in a car accident, these individuals had no prior history of degenerative changes in their spine previous to the accident. A follow-up exam conducted 5-7 years following the accident found that 39% of occupants involved had developed degenerative disc disease. The first step in effectively treating injuries suffered in a motor vehicle accident is a thorough evaluation of the injury. Chiropractic adjustments can then help to return motion to the joints of the spine. Active Release is used to decrease muscle spasm, or break down scar tissue in the affected area. This allows proper healing of the injured muscles, ligament and other soft tissues, reducing the risk of early degeneration. The bones of the spine (vertebrae) are separated by round discs that sit between each of the bones. These discs act as shock absorbers or cushions for the vertebrae. The outer the part of the disc is composed of a tough fibrous band that holds in the softer material toward the center of the disc. A bulge occurs when the material inside the disc starts to push toward the tough outer covering, putting pressure on the nerve, causing pain, and other symptoms. If the forces placed on the spine are severe enough, the soft inner material can push through the outer material causing a disc herniation. What are the Symptoms of a Bulging / Herniated Disc? Pain typically occurs at the site where the disc bulge is pressing on the involved spinal nerve. In the neck a bulging disc can cause pain, numbness and tingling to radiate into the upper back, shoulders, arms and hands. In the lower back the same symptoms can radiate to the buttocks, legs and feet, this is commonly known as sciatica. Symptoms are usually worse with activity and better with rest, although it may be difficult to find relief in any position. Sitting, bending, straining or coughing can all increase pressure on the involved nerve. By using a combination of Chiropractic Care, Active Release Technique, and Spinal Decompression Therapy Dr. McClintock has been very successful in treating bulging disc. Many patients feel better after their first treatment. Chiropractors are well trained in treating bulging discs and often work with other healthcare providers or specialists to make sure you receive the best possible care. Although some disc conditions require surgery, most cases respond very well to conservative treatment.